This is mine. Significantly better looking than her current guardian. Sporting a new cruising laminate mainsail, depressingly difficult to flake. Also a very pretty boat. Teeny pic but the lines look great. in the summer in front of the house with Gruinard Beach behind. 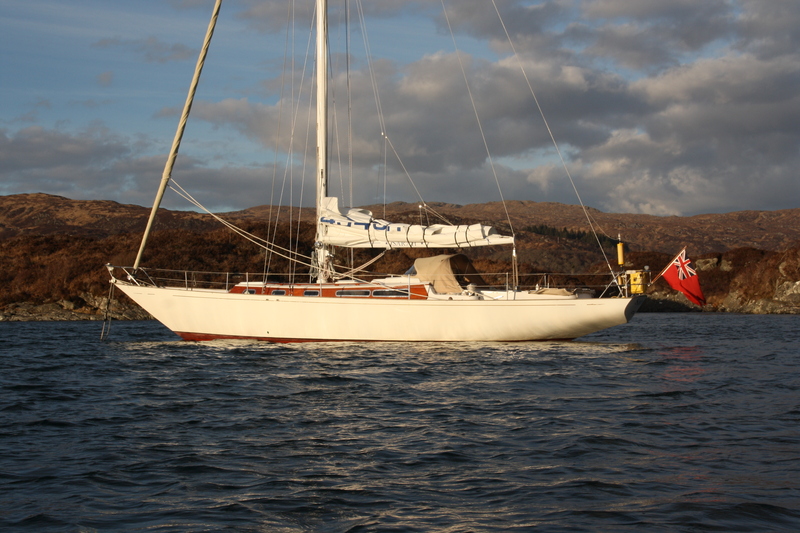 Sadly Khamsin is now ashore in Ullapool until April 2109. ‘Tis still teeny on an iPad. And when you zoom in it escapes off screen like a nervous B list celebrity. Generally better to take the full pic link from Thumsnap and squish it between an [IMG] and an [/IMG] rather than use their ‘forum’ code. Quite why we’re still battling with crude code in forums in 2018 I don’t know but it’s quite hard to post decent pic sizes in posts unless one can be bothered to work it out! Last edited by Shuggy; 04-11-18 at 01:28. Why thank you. James Lawrence's finest, in cream. 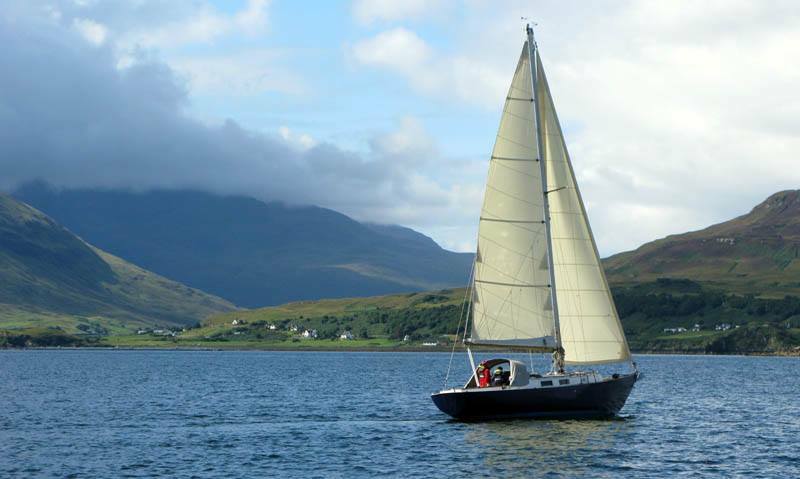 Surely all classic yachts need cream sails! Last edited by jant; 04-11-18 at 08:24.